The 6th annual Slice of Saugatuck was the best yet. 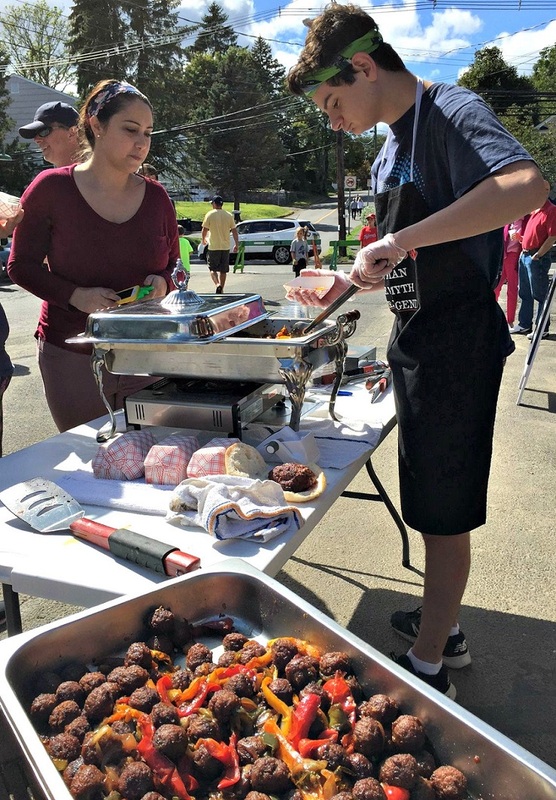 Perfect late-summer weather; a record number of 50-plus restaurants and businesses, and a large, relaxed crowd enjoyed an afternoon of strolling, eating, music, eating, shopping, eating, kids’ activities, and eating. 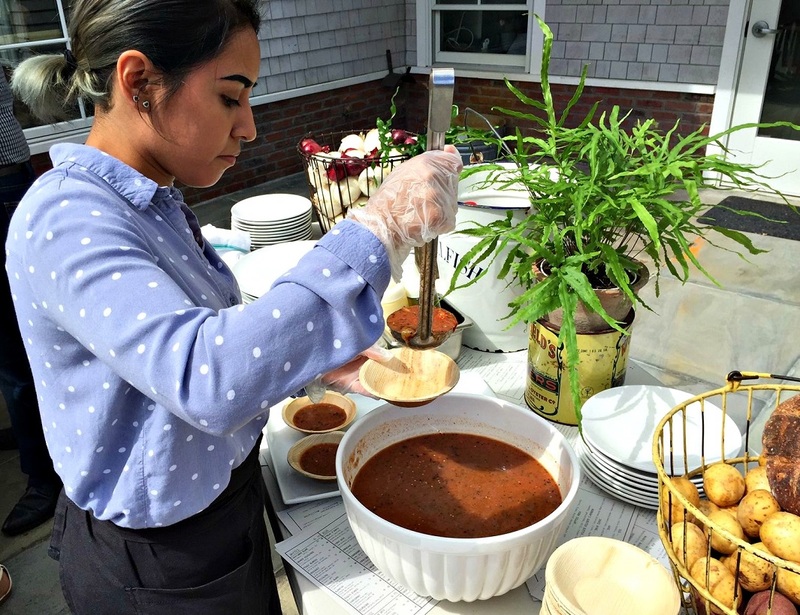 Thanks go to the Westport Weston Chamber of Commerce, plus the Slice’s many sponsors. And congrats to the Gillespie Food Pantry: recipient of some of today’s funds. 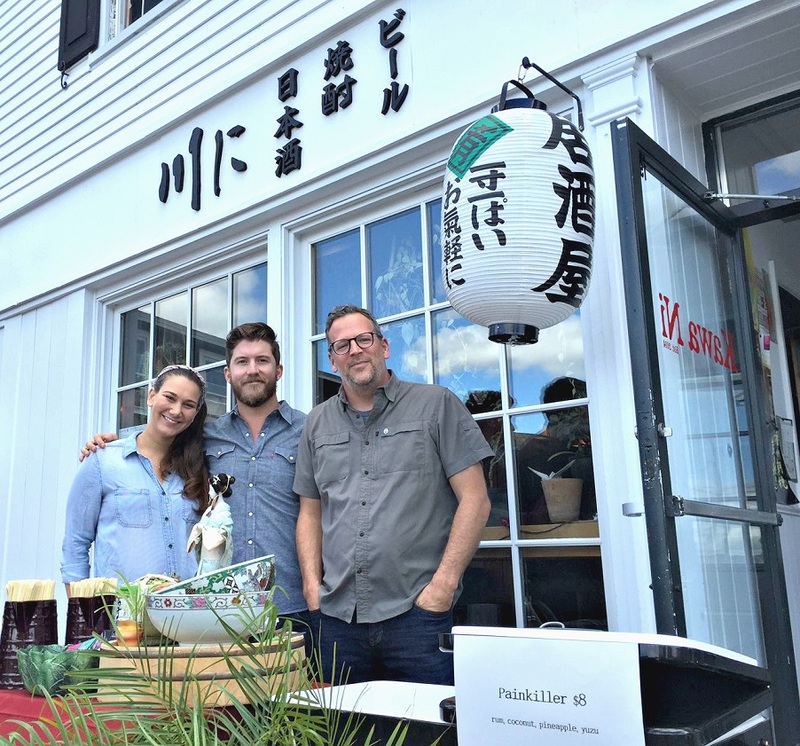 Owner Bill Taibe (right) and his Kawa Ni staff served Japanese delicacies (and drinks). 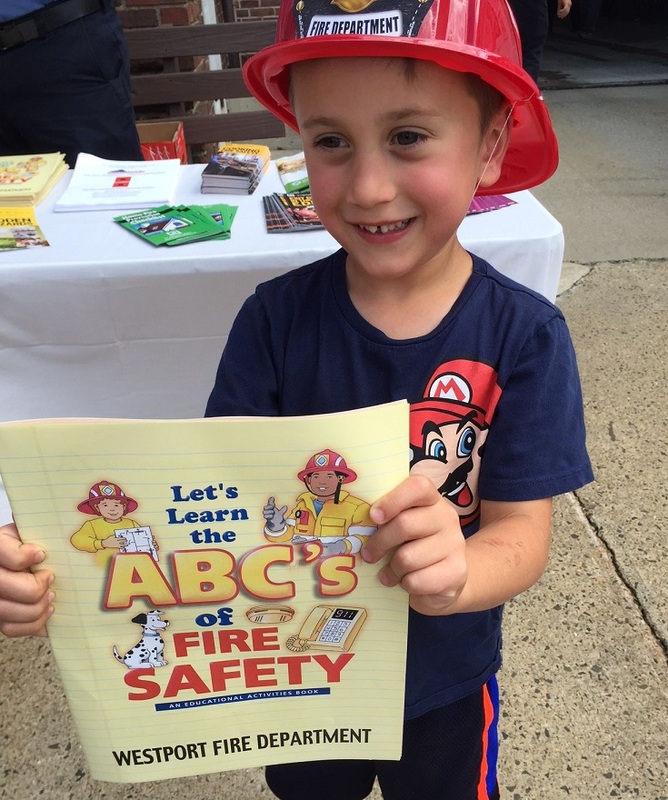 Firefighters at the Saugatuck station promoted fire safety (and offered a seat in their very cool truck). 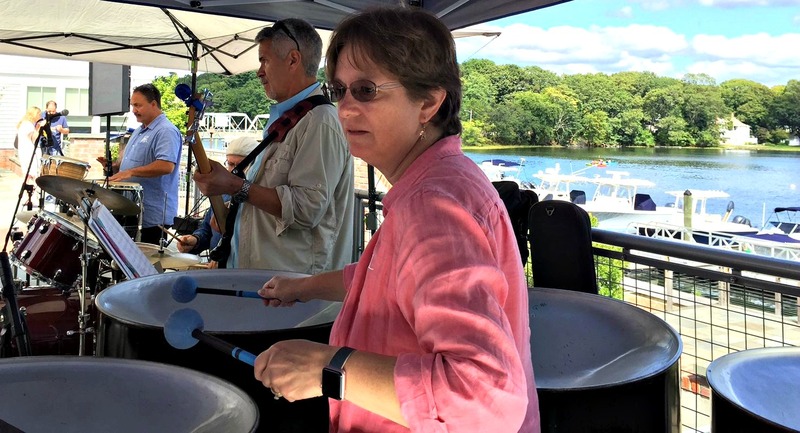 … while a few feet away on the riverfront plaza, the Silver Steel Band played. 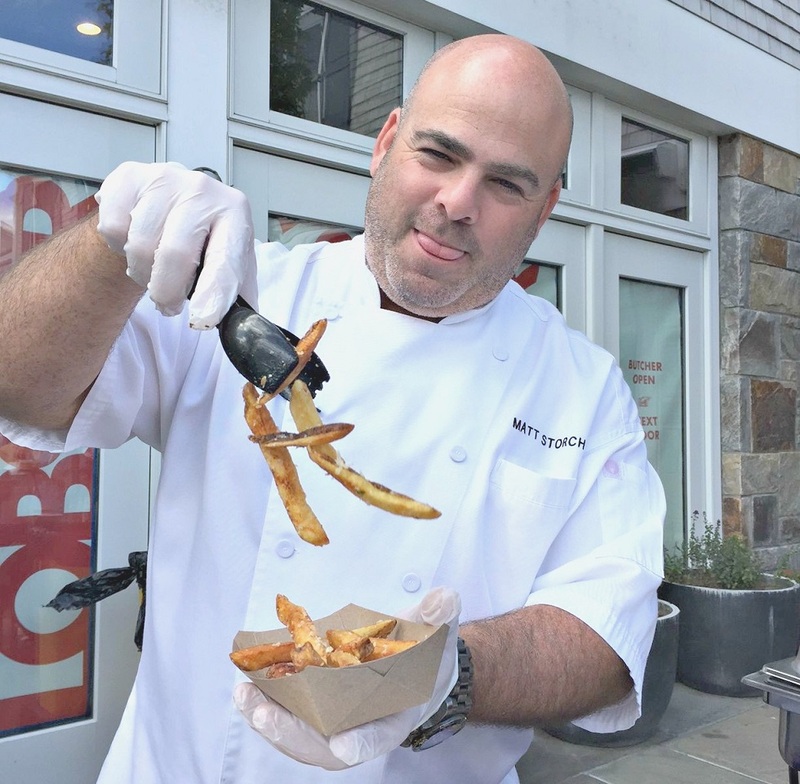 Matt Storch dished out fries. The Staples High School graduate’s new Match Burger Lobster restaurant opens in 2 weeks. 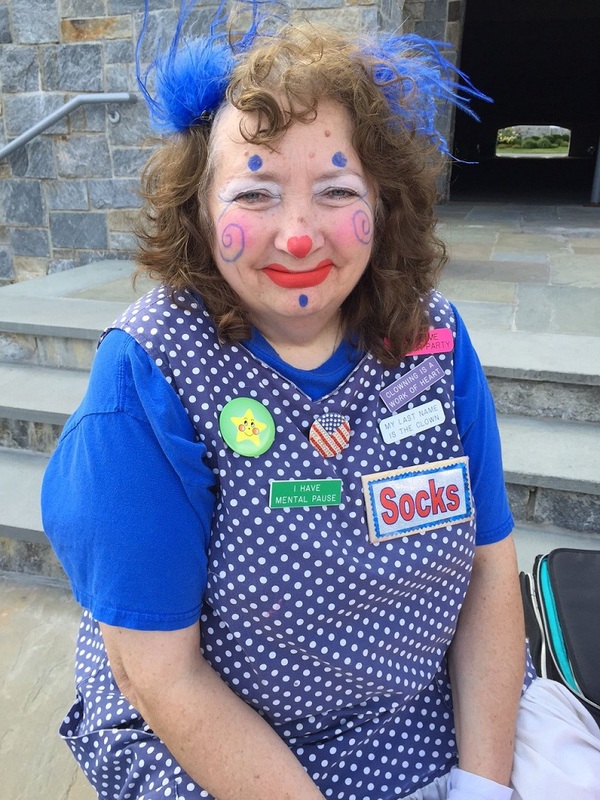 Socks — a face painter — came from Norwalk. 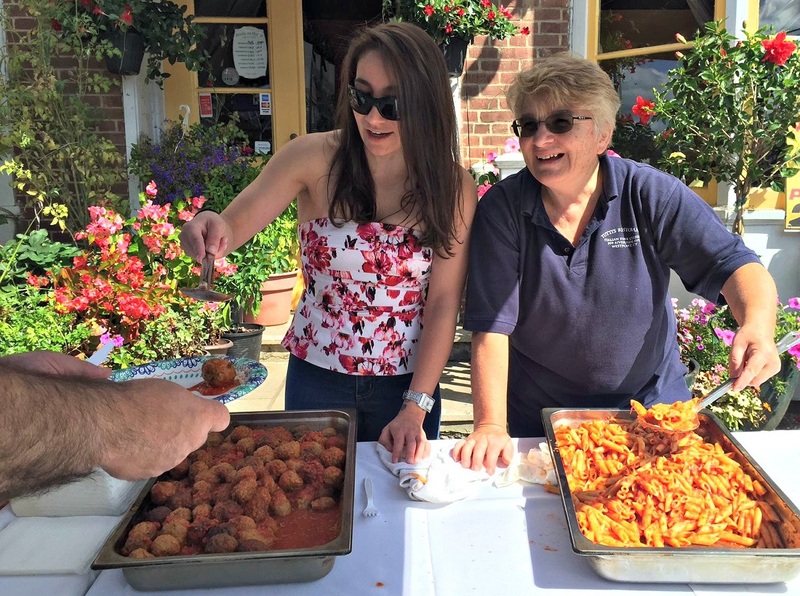 The Funicello family’s Tutti’s is always a Slice of Saugatuck favorite. 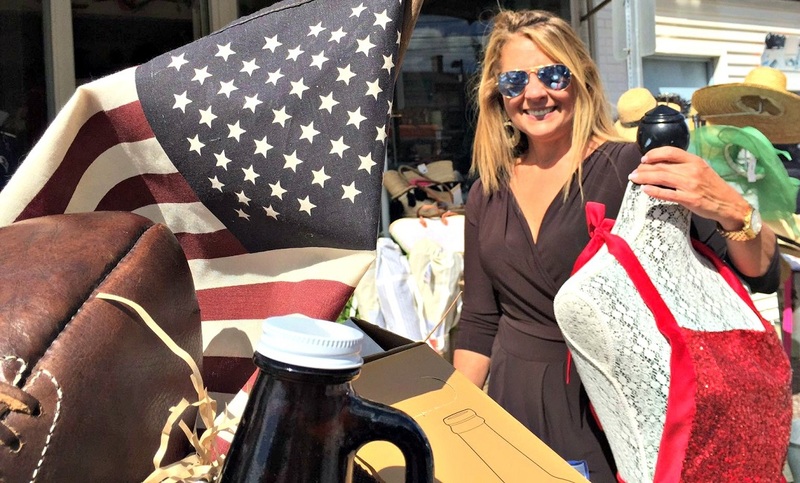 Mersene — owner of the very popular Indulge by Mersene — welcomed Railroad Place Slice-goers with her typically funky goods. 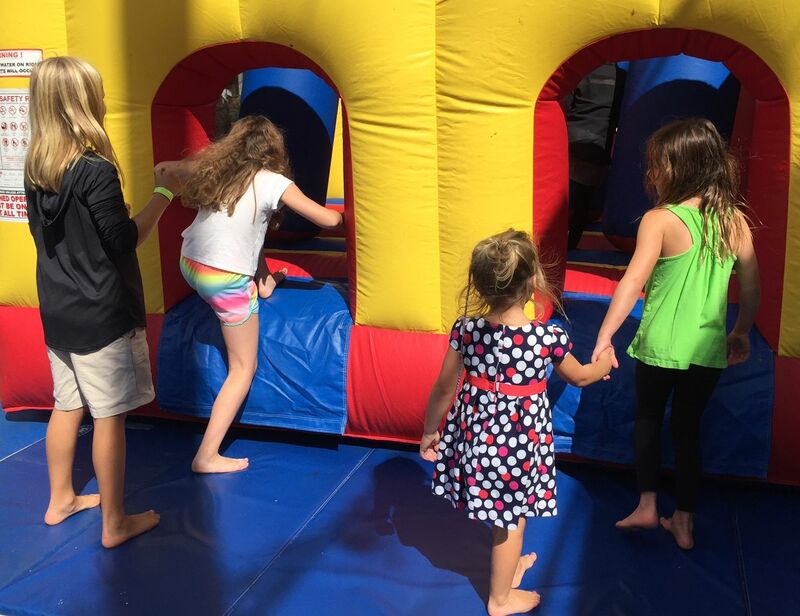 Every kid loves a bounce house. 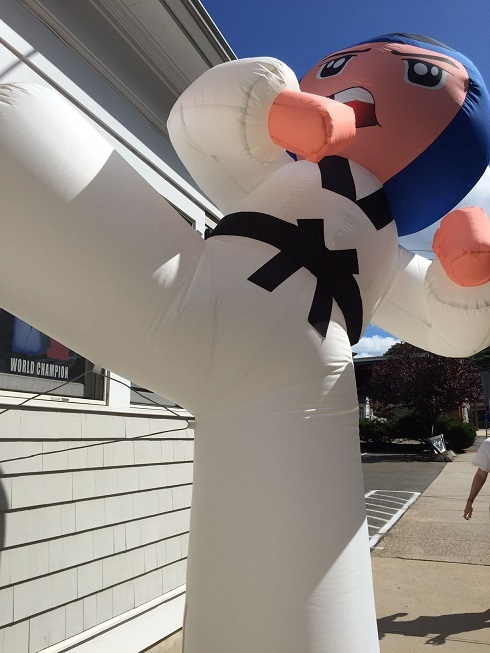 A tae kwan do place lured passersby with this inflatable guy. 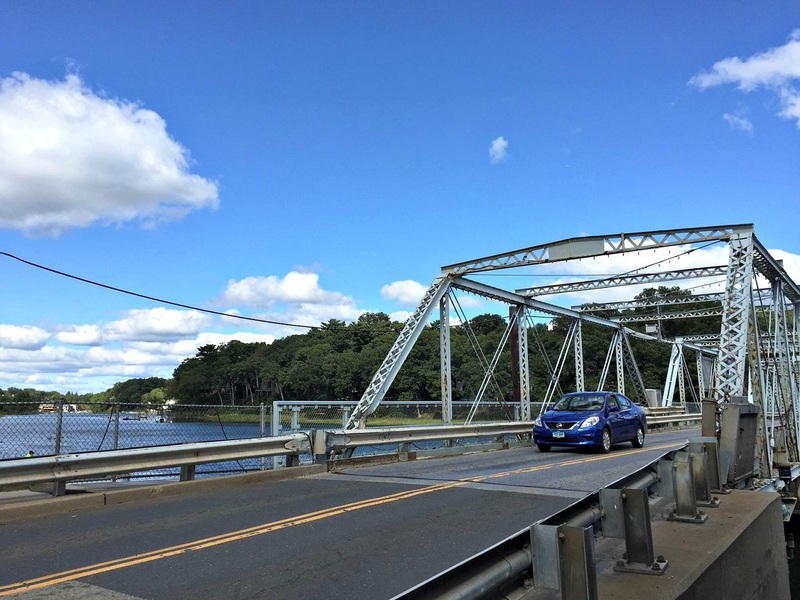 The Slice included Saugatuck Avenue too. Here’s the mouth-watering scene at Dunville’s. All roads led to the Slice of Saugatuck. If you’re reading this before 5 p.m. — there’s still time. After 5, several restaurants extend the fun with specially priced menus.